Transparency International India (Maharashtra Centre), along with Indian Bar Association, is organizing a workshop on Transparency in Judiciary & Governance – Need of the Hour. Transparency International India, with its presence in 200 countries, is a leading global organization against anti-corruption movements. Transparency International India, for the last two decades, is in the forefront of such initiatives. 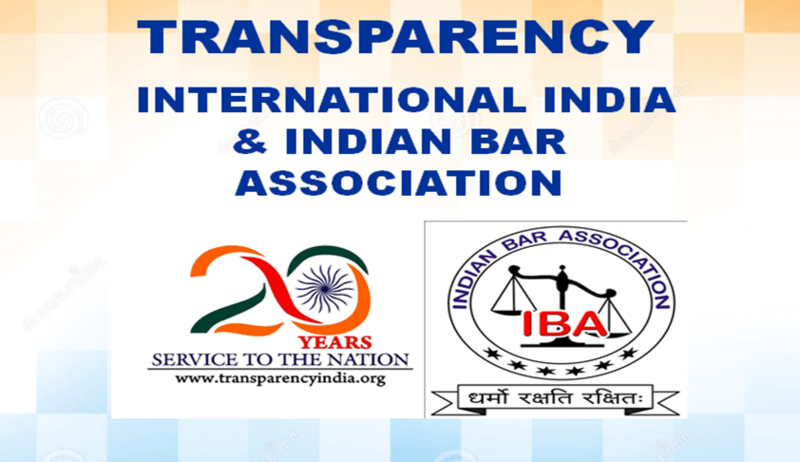 Indian Bar Association, an all-India body of practicing lawyers, is spearheading for transparency in the executive & judicial functions, aiming to raise virtuosity to the level of imperativeness. Venue: The Lalit, Andheri (E), Near International Airport, Mumbai. Anna Hazare: Anti-corruption crusader and ex-governing council member, Transparency International India. Justice Abu Taher MD Saifur Rahman: Hon'ble Judge of Supreme Court Bangladesh and representative of Hon’ble Chief Justice Supreme Court of Bangladesh. Pratibha Mahanamahewa: Former Human Rights Commissioner, Sri Lanka. Udit Raj - Member of Parliament Lok Sabha and Chairman All India Confederation of SC/ST Organizations. PS Bawa, IPS (Retd. ): Former Chairman and Advisor, Transparency International India. The workshop will be followed by dinner. You may nominate one more person, along with you, to participate in this workshop.